doTERRA Patchouli Essential Oil 15 ml. Home / Essential Oils / Patchouli Essential Oil 15 ml. The distinctive smell of Patchouli takes you right back to the 60's and 70's. My preferred use of this oil? I use it daily as my all natural deodorant! 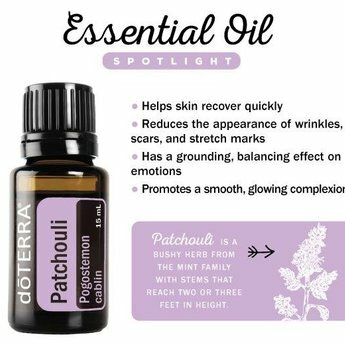 Patchouli is a bushy herb from the mint family with stems reaching two or three feet in height and bearing small, pink-white owers. Easily recognized for its rich, musky-sweet fragrance, Patchouli is regularly used in the perfume industry as well as in scented products such as laundry detergents and air fresheners. 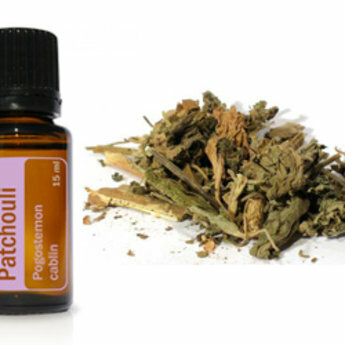 Patchouli is bene cial to the appearance of the skin and helps reduce the appearance of skin imperfections. 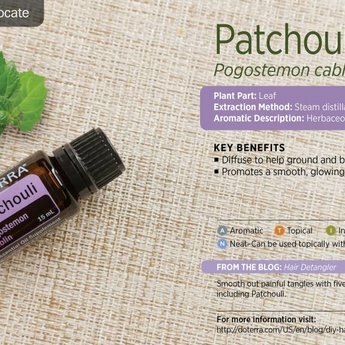 The fragrance of Patchouli can help calm and relax. Apply one to two drops to help reduce the appearance of skin imperfections, or add to your favorite moisturizer. 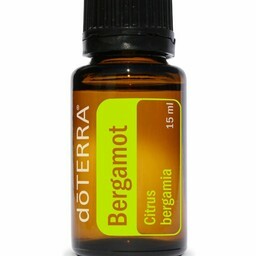 Combine with Vetiver and apply to the bottoms of feet for calming foot massage. If you are pregnant, nursing, or under a doctor’s care, consult your physician. Avoid contact with eyes, inner ears, and sensitive areas.